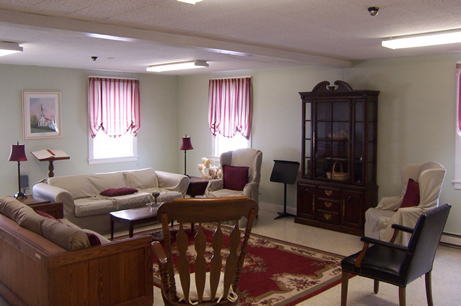 We have several rooms for rent at First Parish Church. We have 2 rooms on our ground floor. 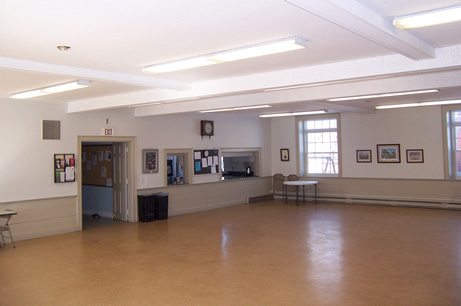 Our main room, the Parish Hall, holds approximately 100 people. There is also a kitchen with ovens, refrigerators, sinks, a stovetop, microwave and toaster oven on the ground floor available for use with rentals. Our Parlor is smaller and holds about 15-20 people. The Parlor has a couple of comfortable couches and some easy chairs. On our upper floor we have 2 classrooms. One is available for rentals. It has a large table and open space for chairs or extra tables as needed. Classroom rentals have a no food allowed restriction. Our Playroom, for younger children, is not available for rentals. 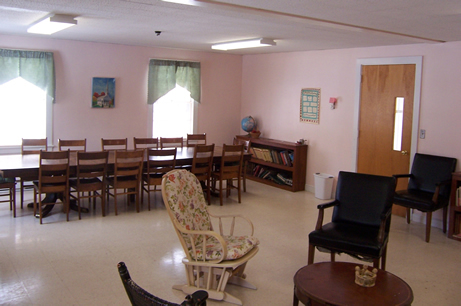 Our parish hall has approximately 12 2’x6’ rectangular tables and 70 folding padded chairs available as needed. Our Sanctuary is available for weddings and other ceremonies/activities. This very beautiful space holds 250 people. The church has a lift making all floors of the church accessible to people who can't use stairs. Rental rates for each space are very reasonable. Please contact the First Parish Church office for further information (978-663-2293 or admin@uubillerica.org).